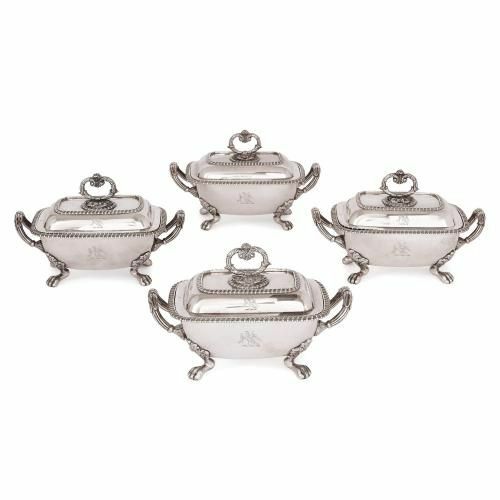 These exceptional antique silver tureens are the work of the important female English silversmith, Rebecca Emes, and her business partner Edward Barnard I. 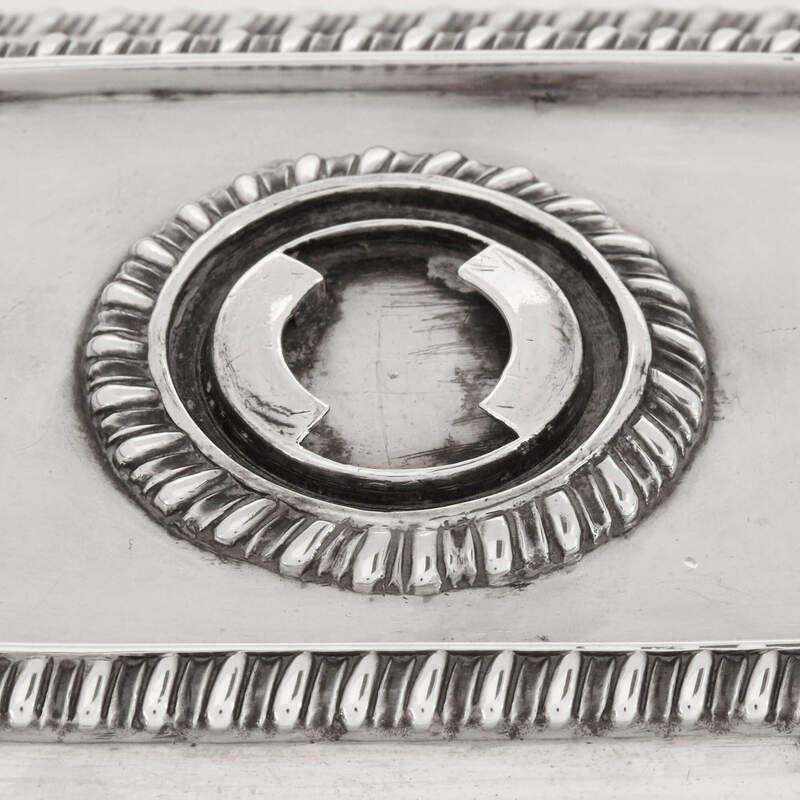 Fine antique silverware is one of the most elegant additions to a stately dining table, but equally can be used as decorative works in their own right. These stunning tureens, crafted in silver, form a beautiful, matching set of four. 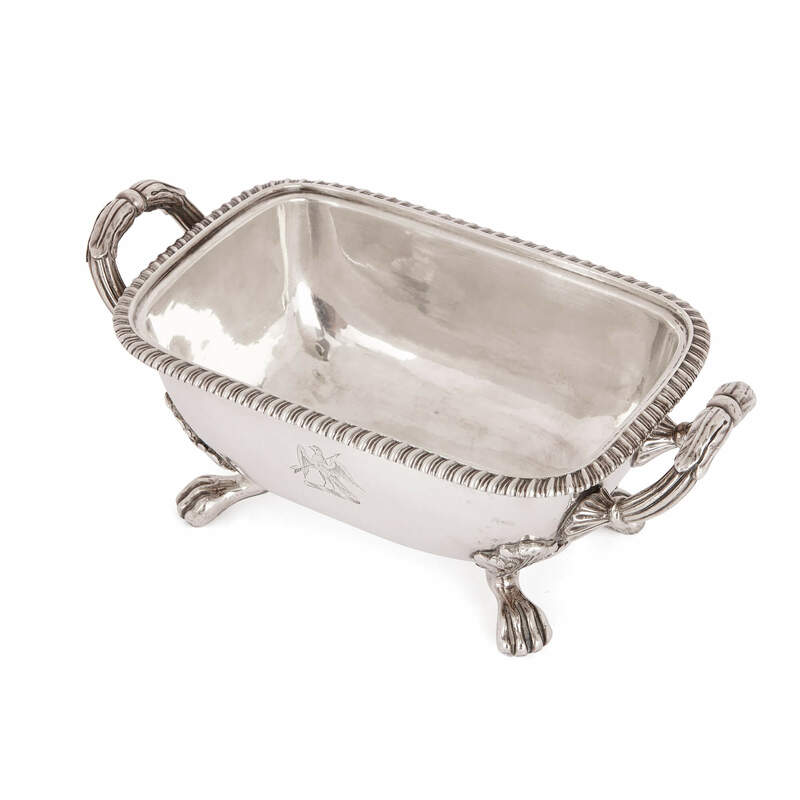 Their petite size means they would be the perfect vessel in which to beautifully serve vegetables, sauces or other condiments. 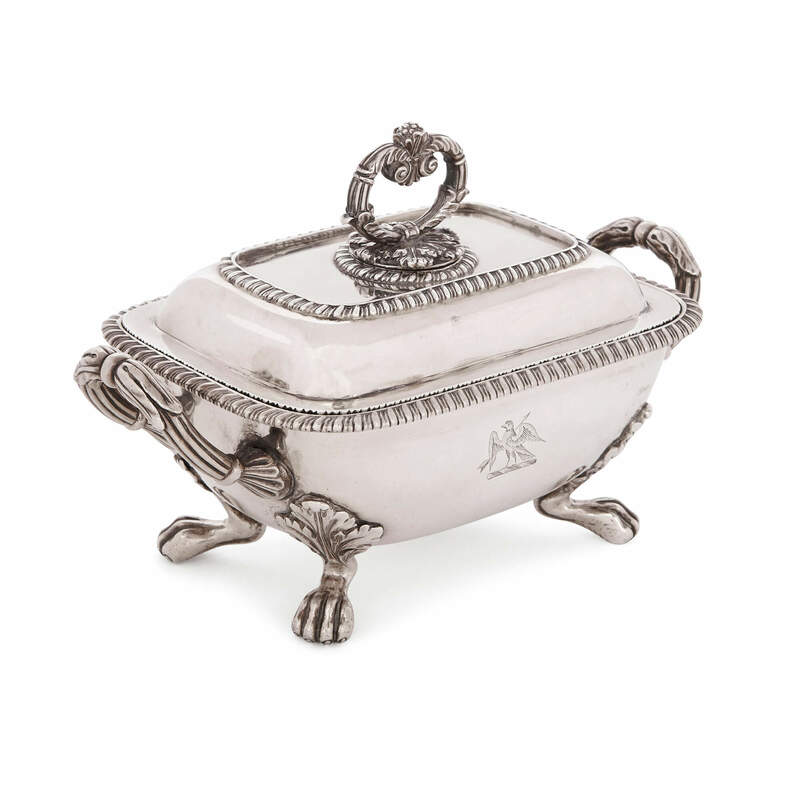 The tureens are all identical, crafted in a rectangular shape with curved lids and bowls that meet at a rim engraved to resemble rope. 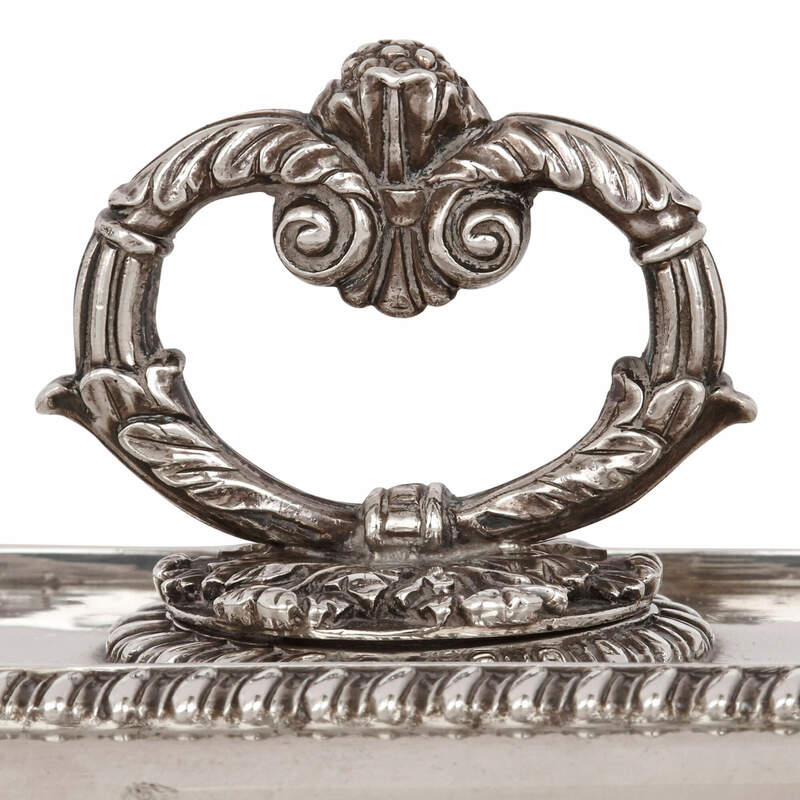 The lids of the tureens all feature scrolled, foliate pierced handles which are set onto beds of cast leaves, surrounded by further bands of rope-like design. The handles can be twisted and removed from the lids. 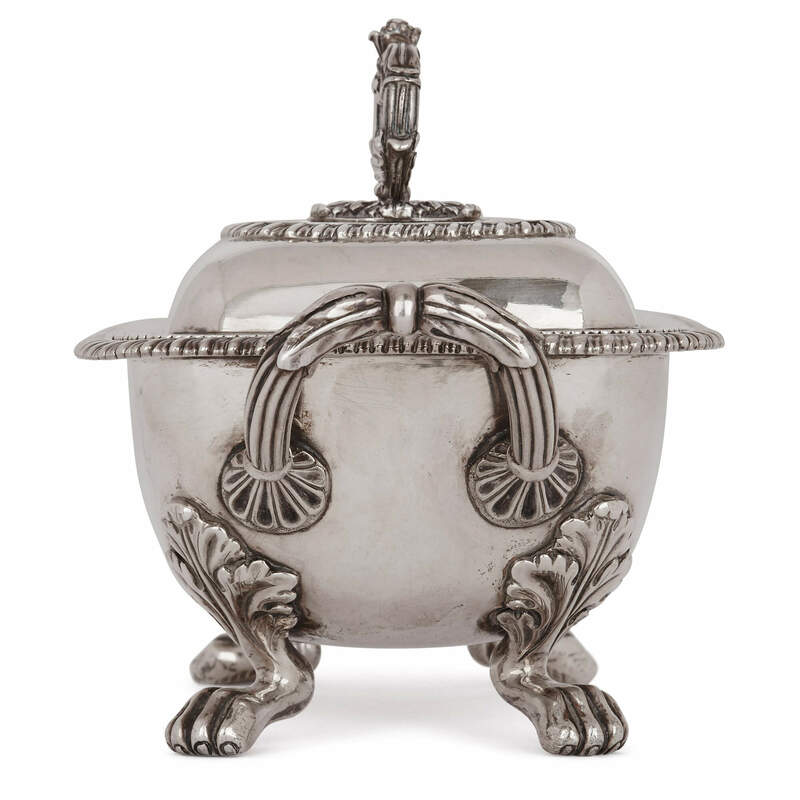 The tureen bowls each feature twin fluted handles to either end and rest on four paw feet. 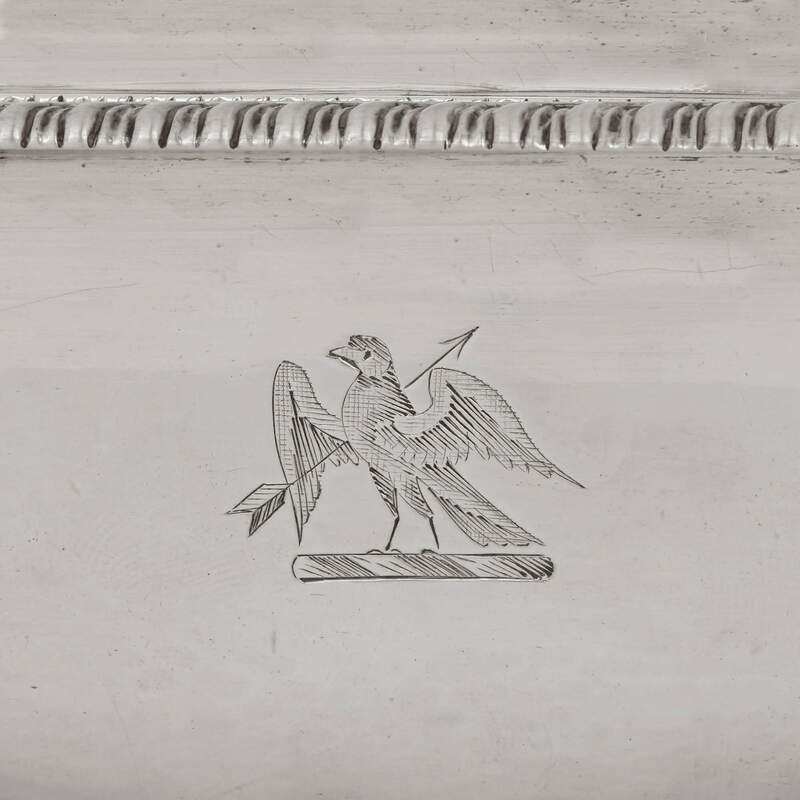 The tureens are engraved in several places with an engraved dove that has been shot with an arrow, which is the crest of the Horwood family. 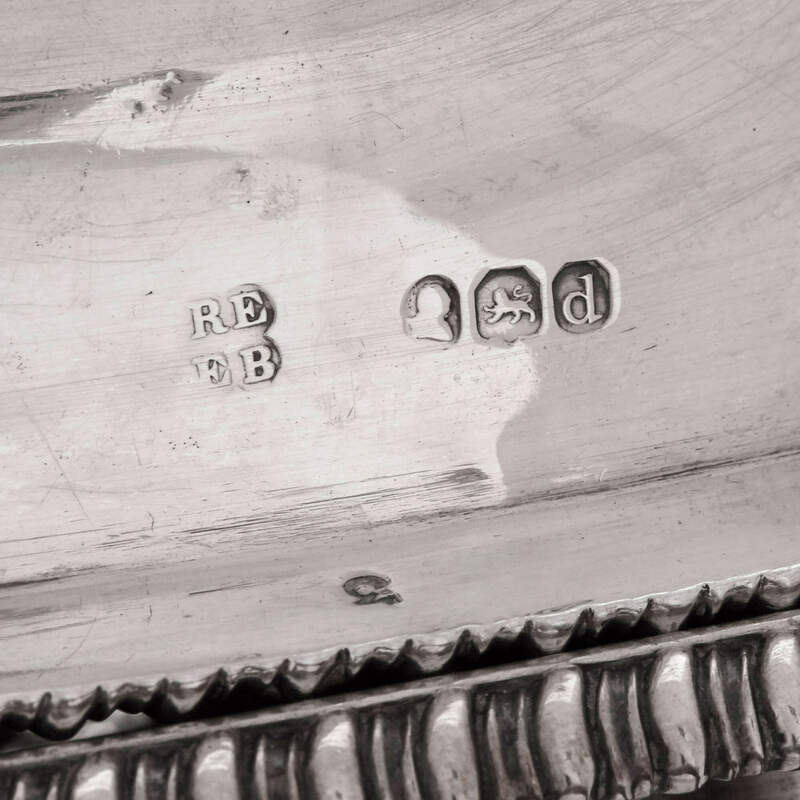 The silverware is also fully hallmarked, featuring the initials of the makers 'RE' for Rebecca Emes and 'EB' for Edward Barnard I, and with date marks for 1819.